Google Assistant can bring show and tell with smart displays, like this one from Lenovo. Smart speakers are about to get upstaged at home by an arguably smarter device – smart displays. 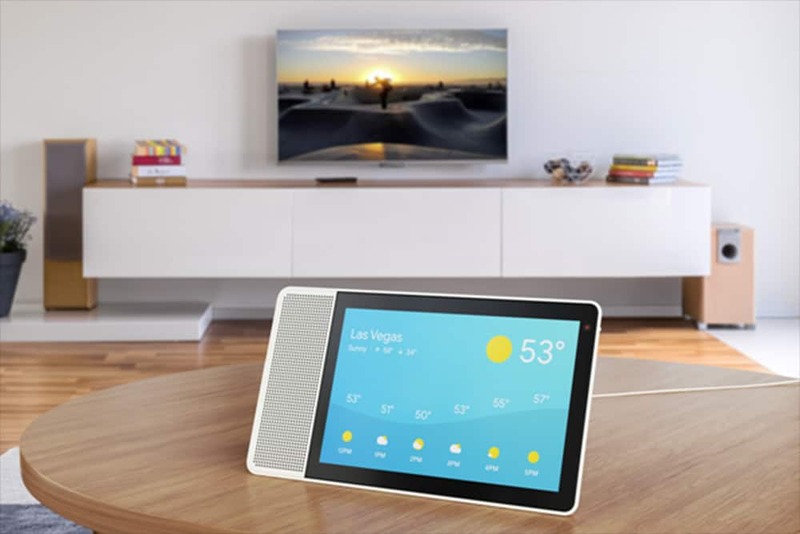 During its I/O developers conference Tuesday, Google announced smart displays with Google Assistant would hit store shelves in July, adding yet another screen to vie for our already fractured attention. Smart displays, however, offer utility by bringing visuals to many tasks, such as video demos when cooking or doing home repair and graphics when requesting a weather forecast or traffic report. At CES in January, Google announced a partnership with Lenovo, LG, Sony and JBL to equip smart displays with Google Assistant. Amazon already is a year ahead after debuting Echo Show last summer. Apple by all appearances is even further behind in this emerging space. It’s first smart speaker, HomePod, only recently debuted and its sales have been lackluster. Google also said Tuesday the smart displays would include a YouTube TV app, a feature that was demoed on the I/O stage with a request for the Jimmy Kimmel Live show. The smart displays will also be handy with Google Maps, video calls and pulling up footage from in-home security cameras. Smart displays aren’t likely to replace smart speakers, especially among music lovers who appreciate the ever-improving audio quality from the devices. The smart displays will integrate with any device that features Google Assistant. Prices for the Google displays will vary. During a blog post earlier this year, Lenovo said its 8-inch smart display will run $199.99 with a 10-inch costing $249.99. That’s still a hundred bucks cheaper than Apple’s HomePod. Google may still produce its own smart screen. Company Vice President Rishi Chandra told Variety magazine last month that Google has not given up on plans to one day release a smart screen. The partnerships, he said, made sense because of how the devices integrate with Nest smart home products.